The CAM SPORT Stripe kits is awesome and in stock! 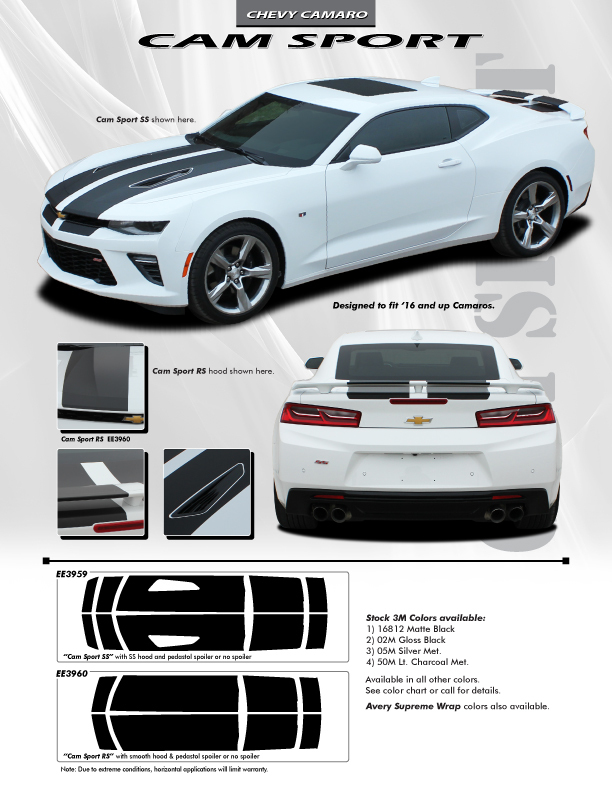 These Camaro stripes and decals have been precision cut specifically for the 2016 Camaro Graphics and Stripes and 2017 Camaro stripe packages, so you will be able to fit your 2016 Camaro rally stripes, straight out of the box. RAT has Chevy Camaro SS RS Stripes CAM SPORT 3M Camaro Stripes, Camaro Decals, Camaro Racing Stripes, Camaro Vinyl Graphics, Camaro Rally Stripes.